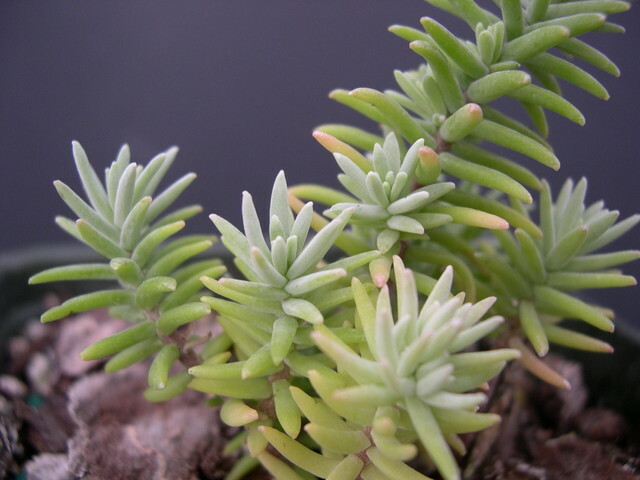 Soft narrow leaves are a glaucus gray color. This subshrub grows to about 12 inches tall. Faintly scented white flowers with dark red anthers in June-July. Evergreen. Nice hanging basket plant. From Mexico.